In the first half of this 2-hour DVD , Bob Noonan and Mike Wilhite demonstrate a very effective combination marten/fisher set with the 5x5 and #155 on a northern Maine wilderness line. You’ll see set locations, marten and fisher catches, moose, and Canada Jays eating out of Mike’s hand. In the second half of this DVD , well-known Maine trapper and fur buyer Jerry Braley, who has handled 3,000-plus fisher and 4,000-plus marten, demonstrates and describes in depth, detailed, step-by-step fur handling methods for both these valuable furbearers. These techniques apply to many other furbearers, making this also an ideal video for both beginning and experienced fur handlers. 2 Hours. Marten and fisher often share the same habitat and are attracted to the same baits and lures, but because of their very different body size, finding a trap that captures both consistently at the same set has been a problem. But now there is a trap size that will consistently catch both species: The new 5x5 and #155 double spring bodygrippers, which have full 5-inch inside jawspreads. This trap is also effective on raccoon and groundhog as well as mink and muskrat. COYOTE TRAPPING 101 is the only video that explains all aspects of the basics of coyote trapping. Professional coyote control agents and fur trappers depend on these simple essentials to make big catches. Once you understand them, you will catch coyotes. 1 hour, 55 minutes. Proper trap adjustment and treatment are important for all furbearers, but odorless traps are essential for canine trapping. Foothold Trap Adjustment and Treatment shows, step-by-step, exactly how to do it. BUY NOW AT A REDUCED PRICE! The bottom edge set, made with a #220, #280, or #330 in the right location, is deadly on beaver and otter. This book, by the developer of the bottom edge set, explains in detail what size traps to use where, how to make the set, the effects of weather, and how to find specific beaver and otter locations. Location is the heart of this set, and this book describes it in detail, with numerous photos and illustrations. 63 pages. 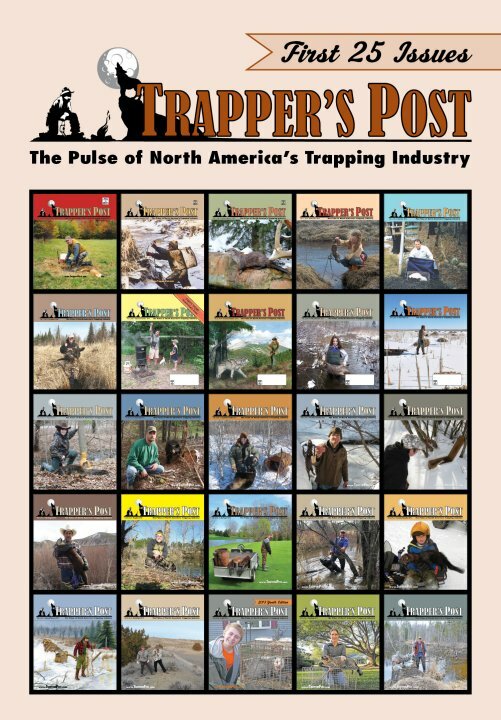 An in-depth coverage of all aspects of fisher trapping, based on the author's experience trapping hundreds of fisher, his interviews of experts with thousands of catches between them, and modern scientific studies. Topics include: fisher biology and behavior, territory size, travel patterns, habitat preference, diet, footholds and bodygrip sets, bait and lure, fur handling, and an extensive 11-page location chapter. Numerous drawings and photos. 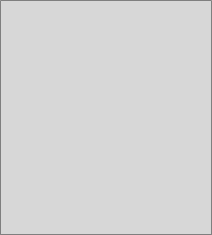 95 pages. Young hunter and trapper Sam Carns left the Blue Ridge Mountains of Virginia in 1860, headed West to get away from people and become a mountain man. With his nerve, grit, determination, two mules named Red and Katie, and a hound called Rattler, he faced many perils in a beautiful but often harsh land. Follow the Dream tells how Sam adapted quickly, befriending two famous older mountain men, a tribe of Kiowa Indians, and local ranchers by hunting and trapping wolves, bears, and mountain lions. He encountered danger daily – and he lived history. This is his story. 186 pages. The coyote is a mystery to many. Found in nearly every corner of North America - wilderness, farmland, desert, swamp, seashore, suburb, city - they are nevertheless one of our most misunderstood animals. The author, Don Shumaker, has spent most of his life studying, pursuing, and controlling wildlife, the coyote in particular. He has seen and learned much, both on his own and from some of the most knowledgeable wildlife experts in America. This book takes you into the real world of the coyote. It contains information you will find nowhere else. 250 pages, large 6x9 size, numerous color photos. Since the dawn of history some men and women have been driven to spend their lives in the woods, the open spaces, or on the water, far from the hassles and shackles of society. Caring little for wealth or social position, they covet instead freedom, quiet, solitude, and a close association with all things wild. Don Shumaker is such a man, and Woodsbum tells the story of how he wrested a quiet but adventurous living from God’s great outdoors in a hectic modern world. 240 pages, large 6x9 size, numerous color photos. I’ve trapped over 1,000 skunks while nuisance trapping. This book describes how I do it without them spraying. This is essential for client satisfaction, especially in suburban and urban areas. (After all, they hired me because they’re afraid the skunks will spray.) It is also very useful when fur trapping. Skunk essence is very valuable right now, and euthanizing skunks with this method results in glands full of essence. This method uses chloroform to daze the skunks, and make them much less apt to spray and easier to handle. Chloroform is safe to use, does not require special training or licenses, and is very affordable. Book includes: Step-by-step, clear, detailed instructions; Equipment list; Where to get chloroform; 100% effective skunk spray deodorant recipe using inexpensive household ingredients and more! 24 pages, 16 photos and drawings.